Since its launch, the S Pen has been the defining feature of the Note series, and has helped users unlock unique ways to interact with their devices – and their loved ones. Now, with the Galaxy Note8, the S Pen takes things a step further. 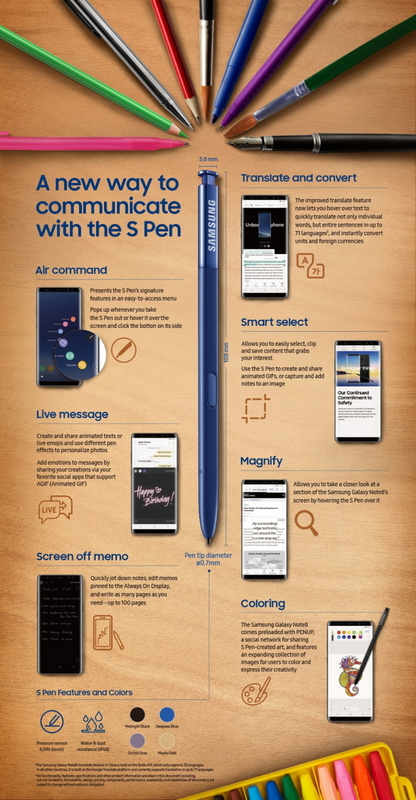 Incorporating a fun Live Message feature, improved Screen off memo capabilities and enhanced Translate functionality, the refined S Pen enables users to express themselves in ways like no conventional stylus can. 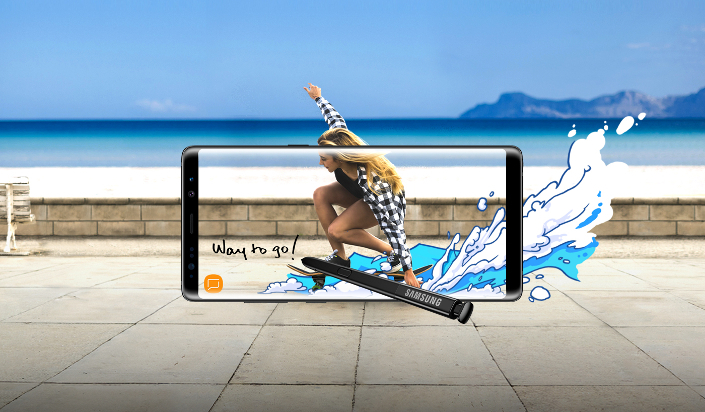 In a world where face-to-face interactions are becoming increasingly less common, the Galaxy Note8’s new Live Message feature merges the emotive characteristics of handwritten notes with digital tools to open up new possibilities to connect and communicate with one another. By simply tapping the heart-shaped key on the keyboard while composing a message, or activating the function via Air Command, users can handwrite an animated message, create live emojis or use various pen effects such as Sparkle, Glow and Ink to inject a bit of creative fun into their photos. They can then bring their creations to life by sharing them as animated GIFs up to 15 seconds in length via various social media and messaging apps that support Animated GIF (AGIF) files such as Facebook Messenger, WhatsApp and Snapchat. * The GIF files can be stored in the Gallery app and used again at a later time as personalized emojis. Similarly, the S Pen’s Smart Select feature can be used to capture selected clips from videos, which can then be converted and shared as animated GIFs. Perhaps one of Note users’ most beloved features is the Screen off memo, which lets them easily create and pin memos and reminders on the Always On Display. 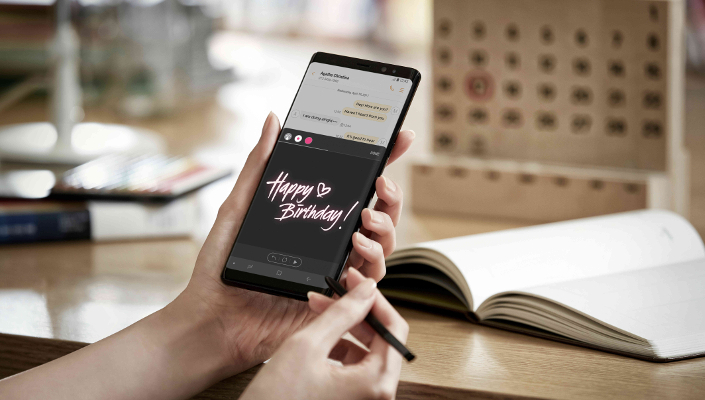 In the same way they might jot down a memo on a sticky note, users can scribble messages directly on the display after activating the feature by removing the S Pen from the device. 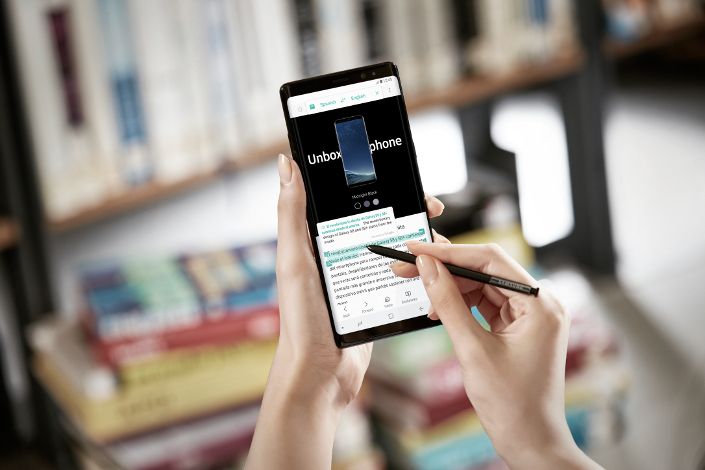 New to the Galaxy Note8’s Screen off memo feature is the ability to create up to 100 pages of notes as well as go back to notes pinned on the Always on Display to make edits. Notes are stored in the Samsung Notes app and can be accessed at a later time. 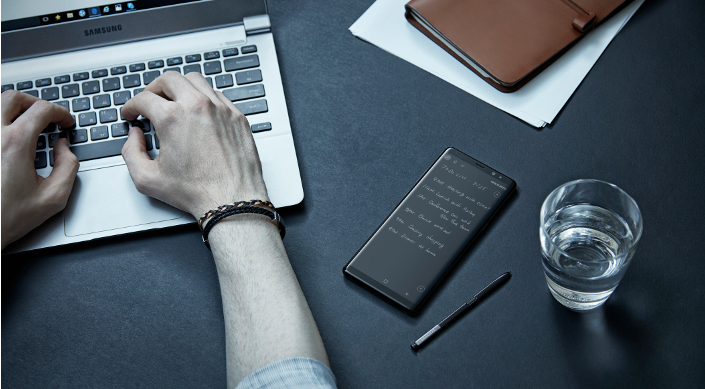 The S Pen uses electromagnetic resonance (EMR) technology so the display is able to recognize it even when it is not in direct contact with the device. In fact, the S Pen can be detected by the Galaxy Note8 from a distance of up to 14 millimeters. When it is within this specified distance from the display, its hovering capabilities enable a number of functions. One is the refined Translate feature. By simply hovering the S Pen over the text they wish to be translated, users can translate words in up to 71 languages,** including words formatted as images, which are recognized by Optical Character Recognition (OCR) technology. With the ability to recognize punctuation marks, the feature can also now translate entire sentences*** when prompted to do so by the user. Additionally, the S Pen can convert units of measurement and foreign currencies. 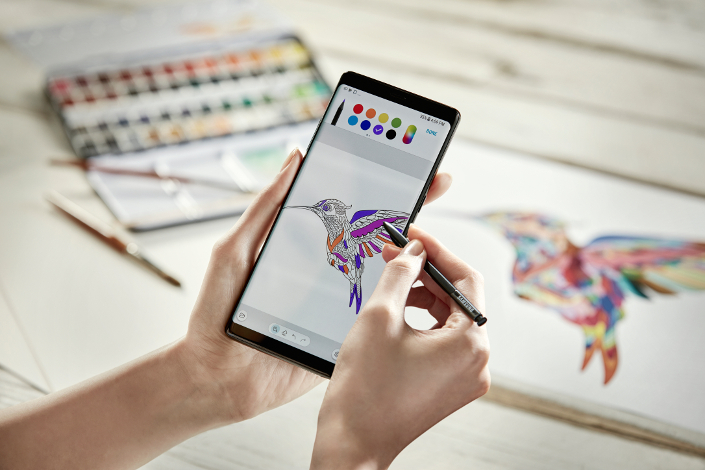 Whether de-stressing or pushing the limits of their creativity, users can utilize the S Pen’s diverse collection of brushes and effects to enjoy digital coloring and sketching. They can then share their own digital artworks on the preloaded PENUP app with a global community of more than 2.7 million users. Among the app’s latest enhancements include the addition of a digital coloring book with more than 200 coloring templates. The S Pen of the Galaxy Note8 is 108 millimeters in length and weighs 2.8 gramsWith a 0.7-millimeter rubber tip, a pressure sensitivity level of 4,096 and the ability to change brush strokes, the enhanced S Pen provides premium precision and power to replicate the ease and accuracy of a real pen. This allows for more comfortable and intuitive note taking and drawing. 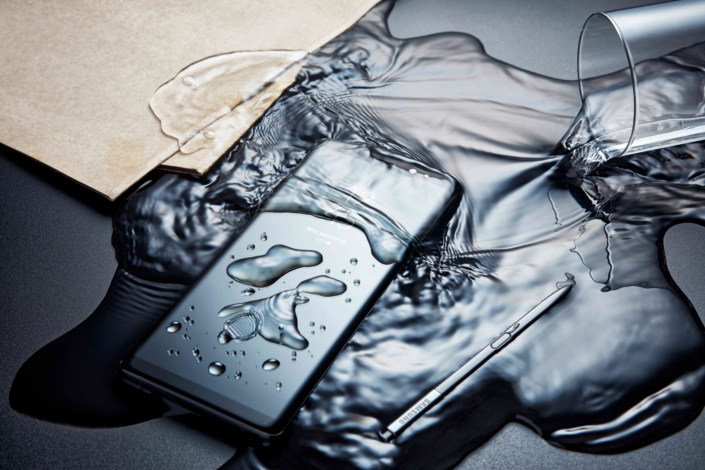 Galaxy Note8 itself, the S Pen is IP68 water and dust resistant,**** meaning it can be used whenever and wherever inspiration strikes. It’s also battery-free, does not need to be charged and is stored in the phone itself, making it easily accessible anytime, anywhere. * GIFs created may not be supported by some social media and messaging services. ** Translate can identify words in 36 languages and can translate words in up to 71 languages. *** Translate can recognize full sentences in 39 languages (including simplified Chinese, traditional Chinese and Japanese), and can translate sentences in up to 71 languages. **** Water resistance rating is based on test conditions of submersion in up to 1.5 meters of fresh water for up to 30 minutes.